At Bear Heart Baking Company we make the best Sandwich Cookies! Whether you are looking for Chocolate Chip Sandwich Cookies to Buy Online, or Double Chocolate Chip Sandwich Cookies to Buy Online you won’t be disappointed. We use the finest ingredients and the yummiest fillings made from scratch. Contact Us through E-mail today to place your order. 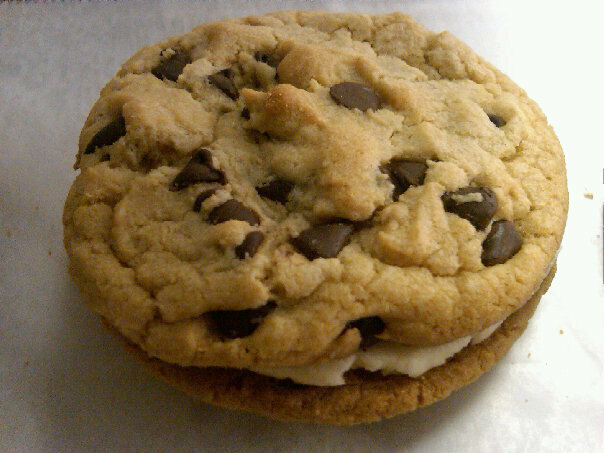 We Specialize in Chocolate Chip Sandwich Cookies filled with a Yummy Vanilla Creme Filling. 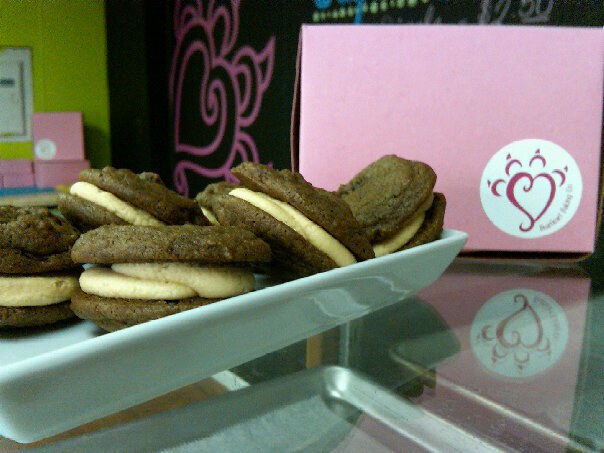 Another Favorite is our Double Chocolate Chip Sandwich Cookies filled with our Amazing Peanut Butter Filling! Order Chocolate Chip Sandwich Cookies Online today and have them shipped right to your door! Or send them to a friend for the Perfect Thank You, or Get Well Soon Gift. Maybe you just want to say Thinking Of You? By Sending Chocolate Chip Sandwich Cookies, Shipped right to their Door, you are sure to get a Thank You Phone Call. 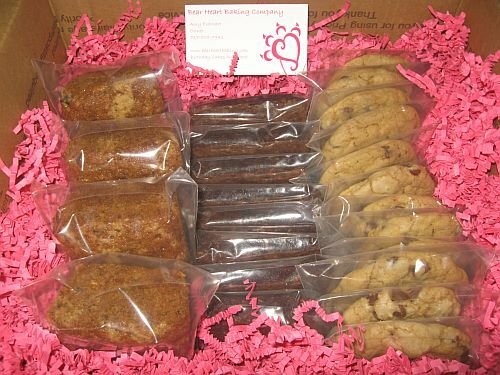 Contact Us Today to place an order of all your favorite Cookies, Brownies, and Treats! Oh my goodness… I think I’m having a sugar rush just looking at these pictures! Yummy and well done!